With the August bank holiday behind us you may feel as though the summer has finally come to an end. But rest assured that there are still some fine reasons to visit the continent – not least the chance to enjoy a harvest tour of the Champagne region. September marks the ingathering month. Swathes of land across Europe are currently filled with vast bunches of sweet ripe fruit waiting to be plucked from the vine and transformed into crisp whites and dark heady reds; sweet, spicy, dry and, in the best cases, filled with joyful effervescence and natural fizz. Anyone who truly appreciates champagne cannot but be profoundly tempted at the thought of a long weekend in north-east France this September. It’s the time of year when organised harvest weekends allow the public to experience the great joy of taking part in a tradition that stretches back to the Middle Ages. Indeed, the Champagne region of France happens to be home to more household names than Hollywood. 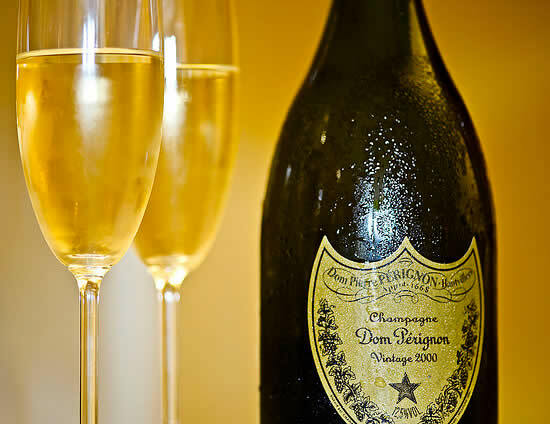 Dom Perignon, Cristal, Piper Heidsieck, Veuve Clicqot, Bollinger, wherever you look you’ll see a name that’s provided the entertainment at some of your favourite parties over the years. It’s this chance to become part of such a great process and tradition that draws so many people here each September. You can book a tour before you head off, or simply jump in the car and take your chances. There are a number of specialist tour operators to be found online, or alternatively just take the P&O Ferries crossing to Calais and drive the short distance to the Champagne region. There are many fine hotels and B&BS in the region and all the Champagne houses do tours, from the small upstarts to the global superstars. You’ll find that in each one you’ll be able to increase your knowledge of champagne and wine, gain a greater understanding of the region and, perhaps most importantly, get suitably sozzled in the process. P&O Ferries travels between Dover and Calais 25 times a day, with prices starting at just £30 each way for a car and up to nine people. From there it is just a short drive along the E15 and E17 to Champagne. Nestled in the Belgian province of Namur, on the banks of the River Meuse lies the historic town of Dinant. Rosie Khdir discovers the town made famous for its rocky cliffs, beautiful river trails and its music. Dinant was a settlement created back in the 7th century and traces of Neolithic, Celtic, and Roman inhabitants can be seen in the varying architecture around the town. The city’s main landmark, besides the natural cliffs that provide Dinant with a stunning backdrop, is the Collegiate Church of Notre-Dame. This church was rebuilt on its initial foundations after falling rocks crushed the original Romanesque building. 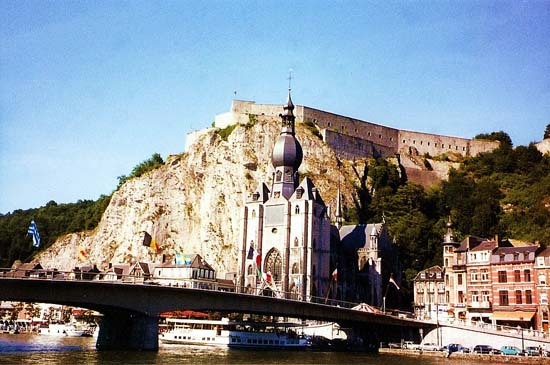 Another must-see in Dinant is the 11th century fortified citadel, which you can get to by cable car. Explore the dungeons, kitchens, weapons museum and old trenches that all reveal different eras of the city’s history. Dinant is also a town of music, as the home town of Adolphe Sax, the inventor of the saxophone, and will be hosting a Jazz festival on 3rd September this year. If you are a museum junkie, Dinant will keep you satisfied there, with over twelve museums including the Meuse Medieval Heritage Centre, the Montaigle Castle Museum and the Museum of the Orders of Gastronomy. Dinant truly is a beautiful city with such a mixture of entertainment. The river trails are great for those who love the outdoors, the many churches and abbeys are perfect for history buffs and there are plenty of restaurants for food lovers. There are also boat cruises on the Meuse, rail bikes, rocking climbing, boats for hire and even caves to explore. If you would like to discover this amazing city for yourself then P&O Ferries offers an overnight service from Hull to Zeebrugge. Or you can take the Dover to Calais crossing starting from just £30 for a car and up to nine people; from Calais it is just a few hours drive to Dinant. Rosie Khdir reports on the latest ferry news, as DFDS ceases its Rosyth to Zeebrugge sailings by December this year. 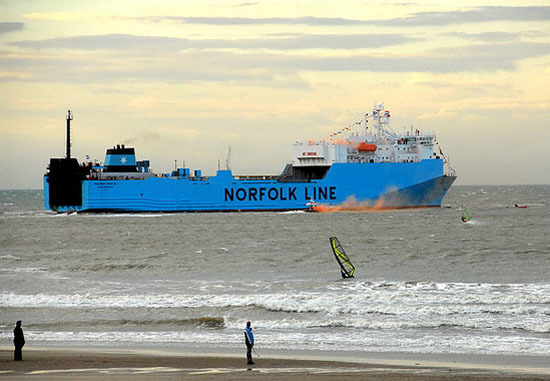 It has been announced that Scotland’s only passenger ferry owned by DFDS Seaways, formerly Norfolkline will cease operation at the end of this year. The service, launched last May, which ran from Rosyth to Zeebrugge, will be pulled with only the freight route remaining from the middle of December. P&O Ferries has an alternative for those passengers unable to get to the continent from Scotland – the Hull to Zeebrugge overnight ferry. Mothers and Fathers Day are the celebrations that honour parents, and Redhead Day in the Dutch calendar is about honouring the world’s redheads! 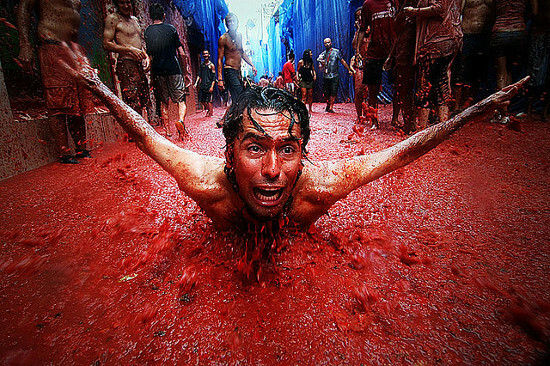 The fifth edition of this event stretches over two days, starting with “pre-redhead day” activities taking place on the 4th September and ending with the official celebration on 5th September. So one this day, what can one expect to see? Well the city centre of Breda opens its large square at 12pm where between 3,000 and 5,000 redheads from over 40 countries will participate in a variety of artistic group photo shoots. Other activities include a cocktail making class, the readhead dinner in Humphreys – costs apply, a movie in the park (Perfume will be played in Valkenbergpark) which is free of chargeas well as an art exhibition! Entrance to this event is free via email invite when you sign up on the official roodharigen.nl website. 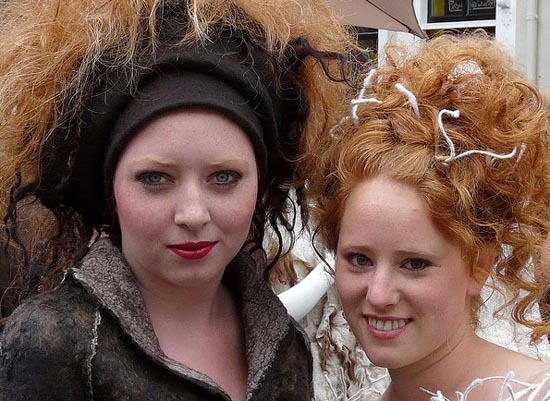 It is easy to get to Breda, so if you are a redhead and want to enjoy a day of celebration for your vibrant hair colour, or you aren’t and want to enjoy the sights the festival has to offer, P&O Ferries can help you get there. You can get the Hull to Rotterdam overnight ferry service starting from £149 each way and from here it is just a short train or car ride to Breda. Europe’s largest and oldest flea market in Lille opening weekend of September, Karim Beerahee takes a look. The market began after Assumption, a period when travelling merchants were allowed to sell goods within the city. It became a chance for servants to sell unused goods of their masters, and became a free-for-all in the 19th century for any hawker in or around the city to peddle their wares. It boasts 33 hours of non-stop buying and selling, and attracts antiquarians from across Europe to the Boulevard Jean-Baptiste Lebas a district dedicated for the sale of older commodities. The market attracts runners to take part in the 10k half-marathon. The market has a distinct old-world feel, with a variety of food, smells, music and noises. 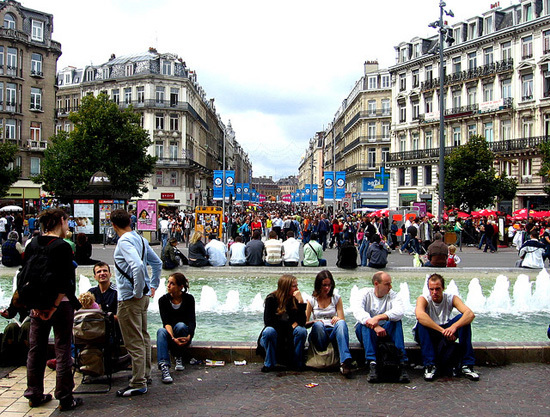 For a friendly atmosphere, bargain shopping, lots of haggling and an excellent weekend the Lille Flea Market welcomes all. P&O Ferries can help you on your way to the beaches of Pas de Calais with the Dover to Calais service starting from just £30 for a car and nine people. From Calais it is only a short drive or train ride along the coast. Gold is one of earth’s most desirable elements, one that has clearly struck a cord with Dutch designer, artist and performance artist Aziz Bekkaoui. Rosie Khdir looks at his latest creations at the Catharijneconvent Museum in Utrecht. In the exhibition entitled Gold, which starts this summer, Bekkaoui shows the public his unique vision, and remarkable associative and styling skills. He adds to the Museums collection with beautifully stunning old, modern and contemporary works, on loan for the duration of the exhibition. The collection itself looks at the importance of gold in themes such as protection, decoration, power, immortality, value and worship; both symbolic and actual. Visitors can catch a glimpse of the Catharijneconvent Museum’s many gold-embellished sculptures, paintings, manuscripts and chalices. These pieces, however, are not meant solely to astound viewers, they are meant to intrigue you, and make you think where this love for gold came from, and what it represents. 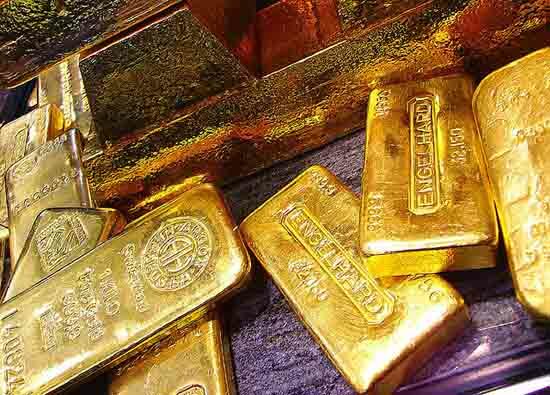 Today we see gold as a commodity and a symbol of luxury – think of all those gold iPods, phones and designer labels. This exhibition contrasts this modern view of gold with previous, more religious elements and makes for a dazzling display. The exhibition runs from June 13th 2010 until January 6th 2011. P&O Ferries can help you on you way to this golden wonder with its Hull to Rotterdam overnight ferry service starting from £149 each way and there its just a short drive to Utrecht! We’ve all heard of a red carpet, but in Belgium there is one even more luxurious! This August a carpet made entirely from flowers will fill the Grand Place in Brussels, Rosie Khdir takes a look. For almost forty years, Brussels has rolled out a floral carpet in its famous square, thanks to the landscaping of architect E. Stautemans in 1971, but the origins of the carpet began in the Flanders region. After graduating from the Ghent Horticultural College, E. Stautemans had been experimenting with making simple small carpets made from begonias. He quickly realised that floral carpets would be an excellent way of promoting the flowers that he loved so much. After years of creating these carpets, Stautemans was soon in demand; he made beautiful begonia creations for cities all over the world including Hamburg, Luxemburg, Paris, London, Amsterdam, and Buenos Aires. “Nowhere is the carpet more beautiful and distinguished than in the unique, ancient surroundings of the Grand-Place in Brussels”. The carpet will cover almost 20,000 square feet in the centre of the Grand Place and will be there from 13th – 15th August, 2010. This year 23-year-old designer Antione Durieux will be creating a carpet celebrating the European Union with a range of colourful begonias. The best view of the carpet is from the balcony of Hotel de Ville, which is open to the public from 9 am to 11 pm. If you want to take a look at this floral phenomenon then P&O Ferries can get you there. A Dover to Calais crossing starts from just £30 for a car and up to nine people and from there it is just a short drive to Brussels.